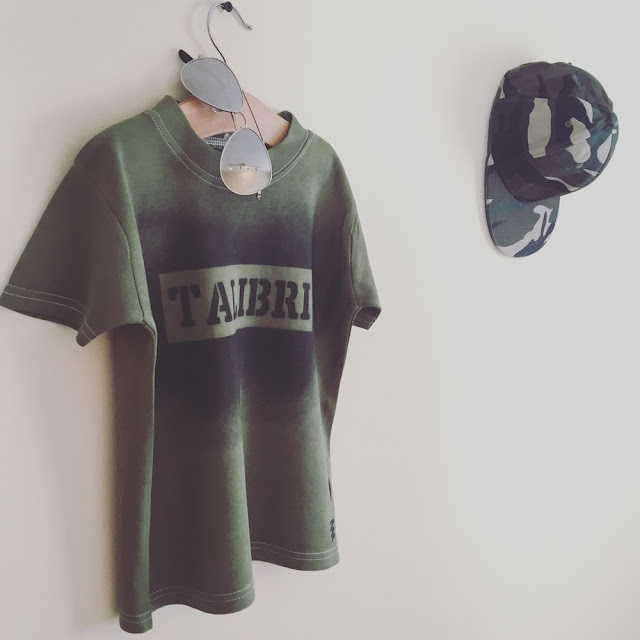 Talibri kidswear is a kids fashion website run by a lovely girl called Tasha. I first came across her website as my best friend placed an order with her and I loved the look of every thing she had ordered. 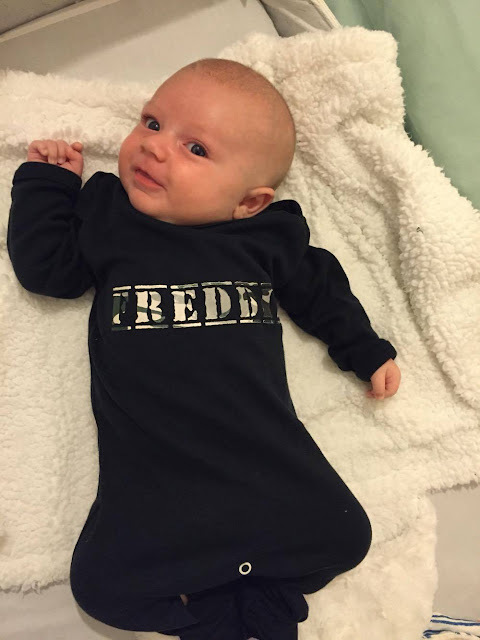 I decided to place my first order and picked the Joshua camo top and Freddie camo sleep suit. They were both made within a few days and hand delivered as she lives local to me and I loved them. The t shirts are of such good quality compared to the rubbish you can get from some smaller run shops. 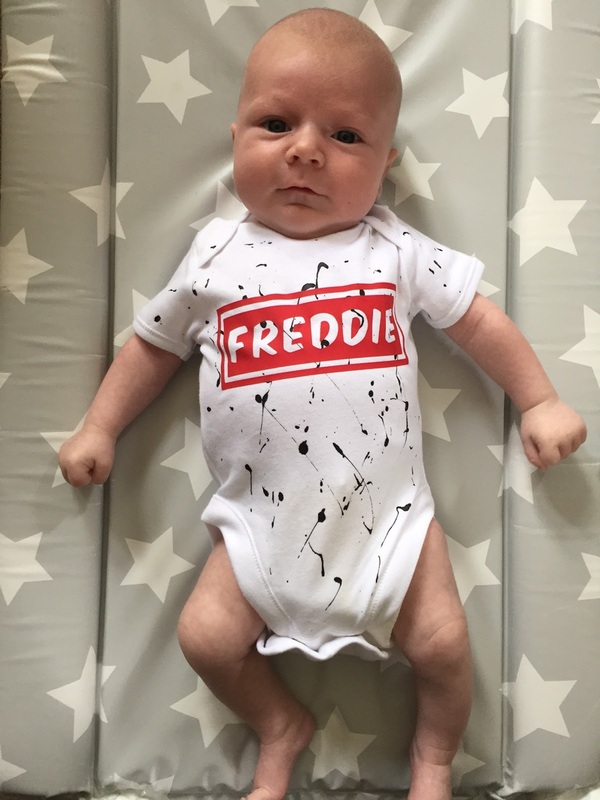 I am yet to try the sleep suit on Freddie yet as he is still a little small for it. It feels lovely and soft and the same quality as the t shirts too. 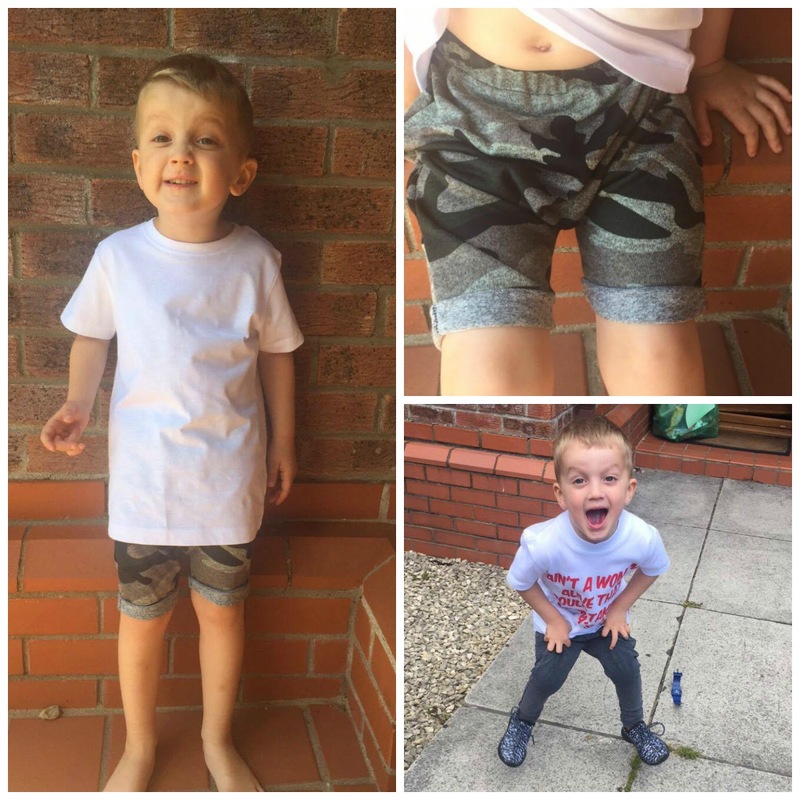 The camo shorts are amazing. 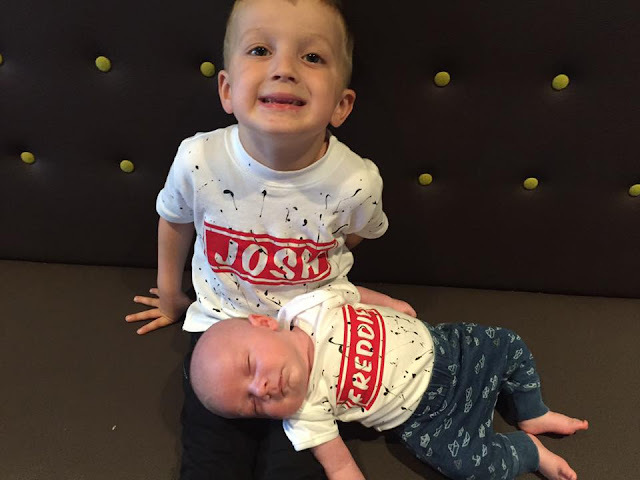 They are super soft and stretchy and I love how they fit Josh. It is the style that I love and they are made to such a high quality. Tasha keeps bringing out new designs every week (which isn’t good for my bank balance!) and I love every thing she makes. 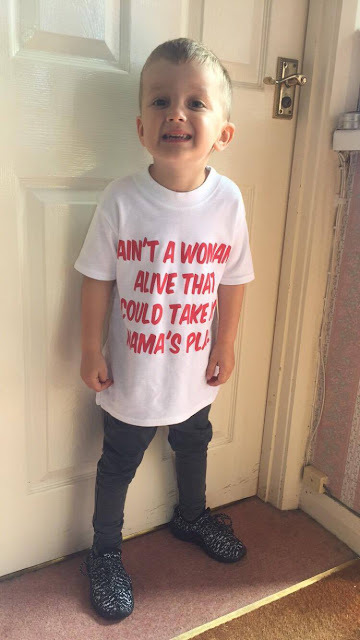 My next two tops arrived the paint splatter Josh t shirt and a custom made ‘Aint a women alive that could take my mama’s place.’ I love both so much and have had so many people asking where they can purchase them. 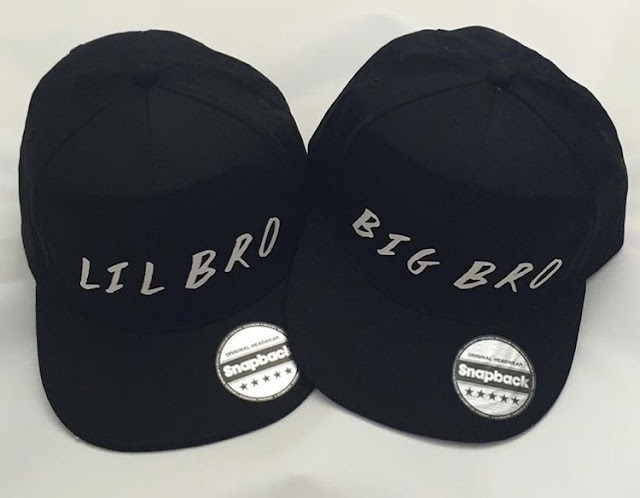 I messaged Tasha asking if she took custom designs and she did. So picked the quote and colour and off she went and made the exact t shirt I wanted. 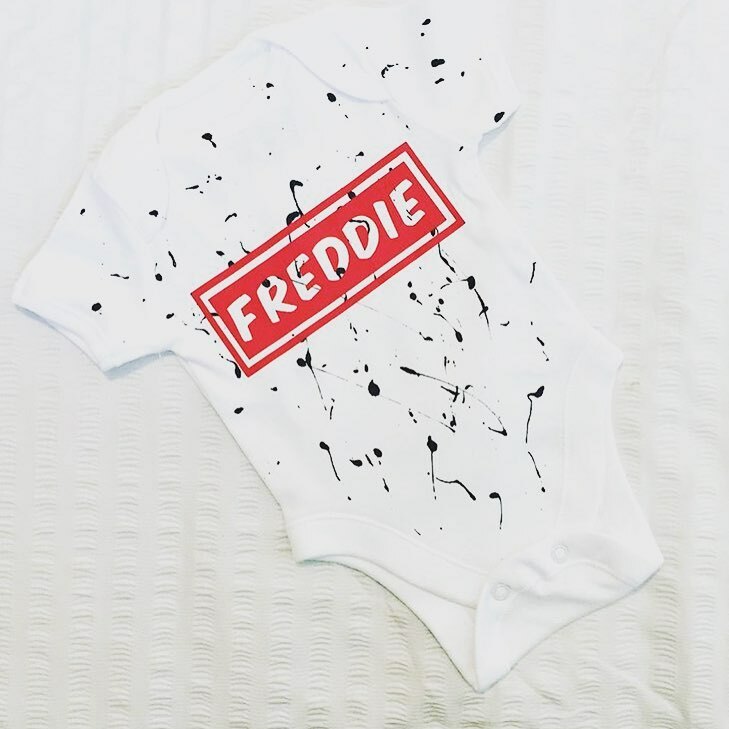 I also picked a paint splatter vest to match Josh’s t shirt for Freddie (how adorable can you get?) The fit is perfect and yet again it washes brilliantly. I love it on him he looks so cute. It is a really lovely quality and feels nice and soft. 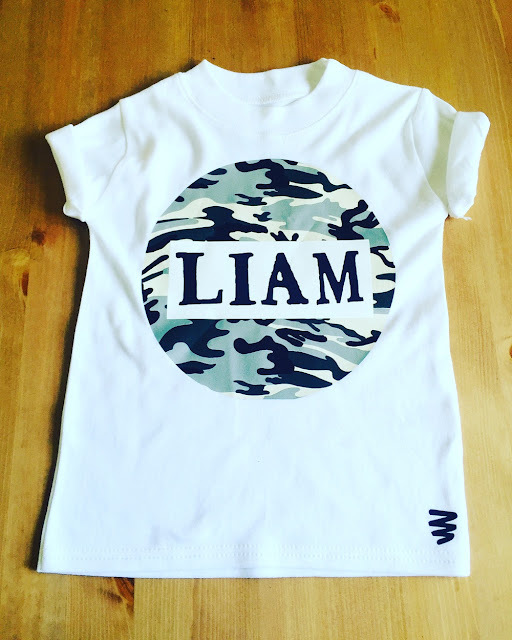 I love personalised clothing I think the photos will be really nice to look back on in years to come. Also for Freddie was this lovely baby grow obviously with his name, can you tell my obsession yet? My favourite purchase of the lot? 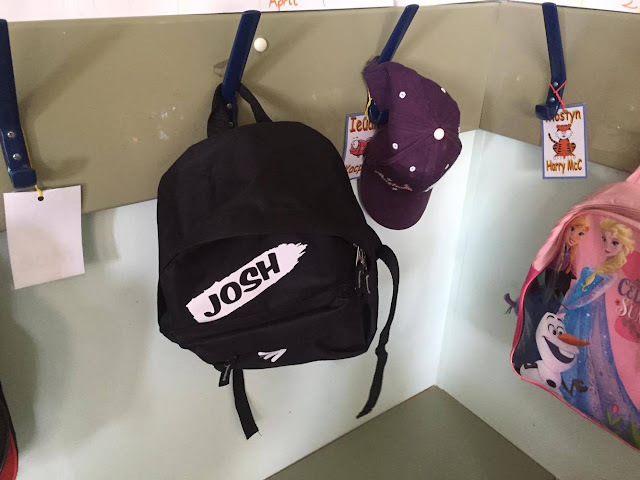 This backpack for Josh. He loves it. 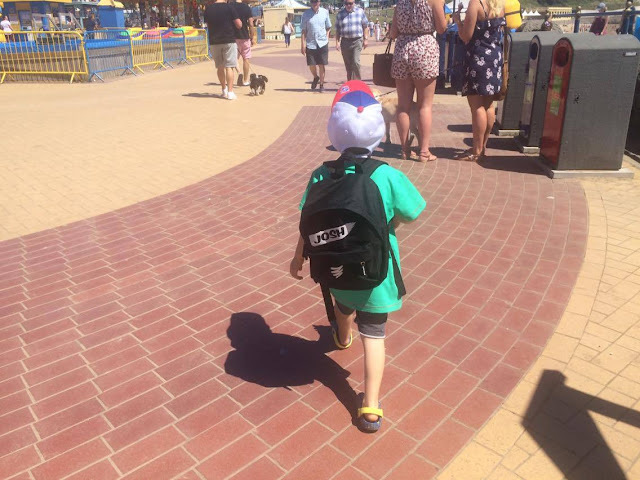 I originally bought it for him to take to big school when he starts in September, but as soon as he saw it he had to start using it from that very second. 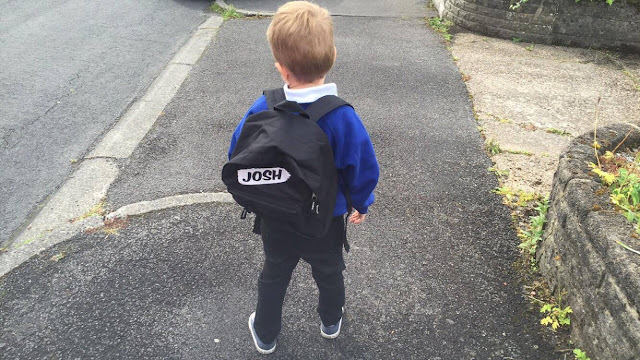 He loves putting it on his back and walking in to nursery. 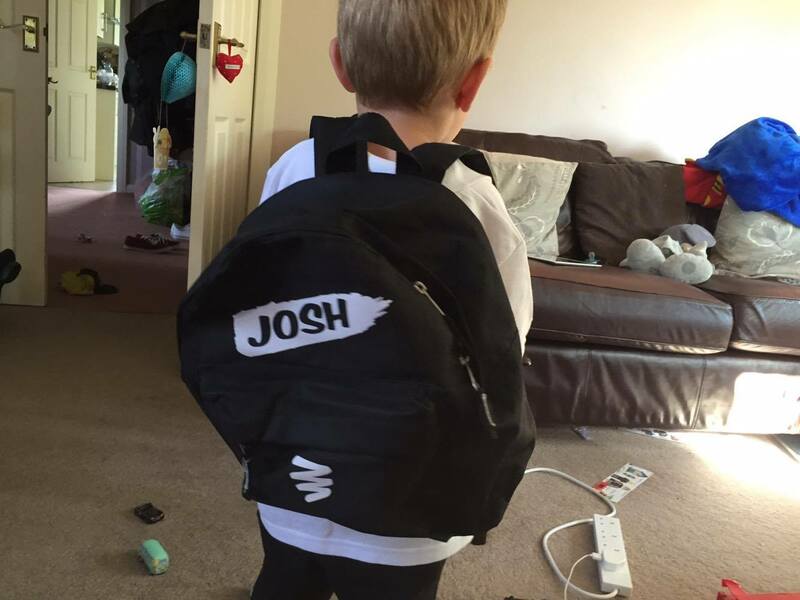 I have heard the other parents say ‘Look at how good Josh’s back pack looks’ and he loves the compliments. Take a look at all of her brand new stock coming up, I can’t wait for the boys to have them! I really do highly recommend Tasha and her brand Talibri kids to anyone! She is a lovely girl who always thinks of her customers and their needs. Her clothing and accessories are such good quality that you don’t want to miss!